I knew this year’s Tulsa Workshop was going to be a good one, but what transpired exceeded even my high expectations. First, the anticipation for this year’s workshop was very high. Since the announcement of the speaker lineup last year, there was a buzz about 2013. Second (and due to the buzz), the attendance was better this year than it has been in a long time. People literally traveled from all over to be there – in many cases decent-sized church groups traveled together. Before Thursday evening’s keynote, the crowd was already filling the Fairgrounds’s 10,000 seat pavilion to near-capacity. Third, upon arrival the workshop delivered! Every class I attended was good, and I heard the same sort of sentiment from everyone else I spoke with. While I’m sure there were a couple of duds on the program (surely there would have been since 60 or more classes were offered), I didn’t hear about a single one. Fourth, classes and keynotes this year seemed to be focused more on doing than on thinking. What I mean is that often much of the content at conferences like this is more intellectual/academic/theoretical in nature – aimed at the head more than the hands and the feet. That was different at Tulsa this year, and while there is certainly a place for the intellectual/academic, I find practical content taught by people who know what they’re talking about to be more helpful to my personal ministry than the headier stuff (but to be fair I’ve spent a large portion of my time for the past eight years in a Bible college/seminary environment, and am certain I take for granted some of the things I’ve learned that others haven’t yet). Fifth, Francis Chan was there, and God spoke through him powerfully each time he preached. His second message was unexpectedly inspired by our experience together in San Francisco – he hadn’t even planned to speak about that. When he took the stage he noticed he’d left his notes in his seat and simply decided to go with it. Francis spoke as led by the Spirit, and his main point was this: the present generation must empower the next to move forward into the future, and the older you get the more you ought to live as if every second is an opportunity to glorify God (because you’re going to meet Him soon). Let me tell you, it was powerful. I’m honestly still digesting it all – hearing that sermon and witnessing the reaction of others also present was a God-moment for me, and apparently it was for a lot of other people too. I ordered the DVDs of Francis’ lessons and will post a short clip or two here when I get them, but I encourage you to order the set for yourself in the meantime. They’re worth it. Lunch at the Stringfellow’s house with Francis & his daughter Mercy. Lynn cooked a mean brisket. While I’m thrilled with the way the Tulsa Workshop turned out this year, I do have a concern, and that concern is not limited to this event. Maybe you’ve thought about this too, but the crowds at the Tulsa Workshop, Pepperdine Lectures, and various other big events and conferences associated with Churches of Christ are mostly made up of senior citizens (Francis even mentioned the age of the crowd in his first lesson at Tulsa). By bringing this up I do not mean in any way to poo-poo on what was the best Tulsa Workshop I’ve ever personally attended – I’d simply like to point out the obvious: our crowds are not getting any younger. I would sincerely like nothing more than to continue to build on the momentum the Tulsa Workshop generated this year, and believe the way to do that is to not only continue bringing in world-class keynoters along with an excellent lineup of classes practical for ministers, but also to do something to attract the next generation’s involvement in our workshops and conferences and to help them catch a vision of how God can use them to impact the world. Seriously, it’s not like we don’t already have active young people out there – they’re going to Winterfest (10,000! of them), beach retreats, and various other teen & college events faithfully – they just aren’t coming to our fellowship’s biggest conferences. I think that should change if they’re part of our church, and I don’t believe I’m alone in feeling that way. Why do you think young people generally do not attend the major CoC conferences and lectureships? What can and should be done to lower the average age of the conference crowds at our largest events? What is the greatest barrier that stands in the way? Please take a couple of minutes to answer those questions in a comment. I would appreciate your input – others would too. 2 – Cost for young families. Once you have kids doing something like this is very difficult and costly and that poses a barrier to some. 3 – Purpose? Then, you have what you already mentioned…the purpose and mission in the past has been you come and get to experience being around a lot of other Christians, get information and go home. To some that seems kind of surfacy…no real connection with others, no visible mission/purpose beyond giving and receiving information, and worshipping with strangers. One of the problems is that it is hard for the “insiders” who put these events together hard to see the barriers that are present to “outsiders”. You don’t always feel a need to demonstrate and communicate/advertise relevance if you already think it is relevant and everyone else already gets that too. I am just stating a perception that is really hard to see if you are an insider. 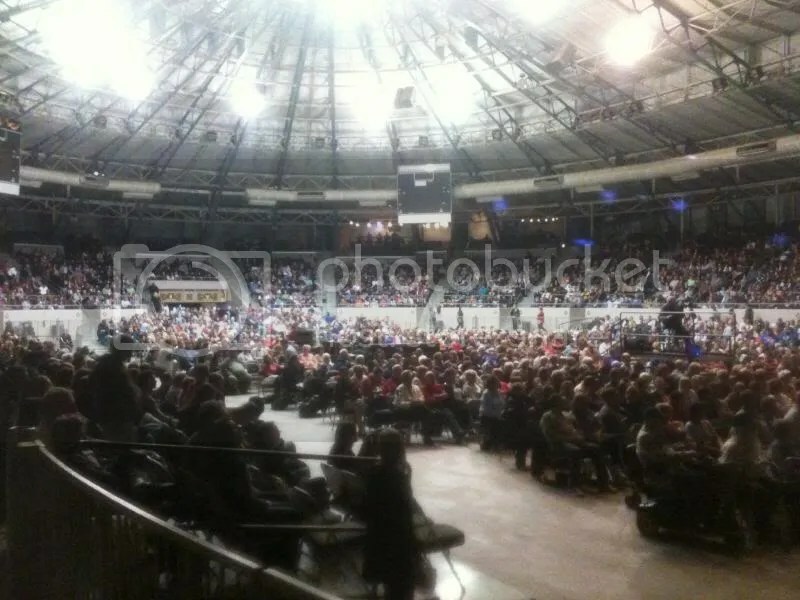 I am not trying to be critical of Tulsa…I am speaking very generally of these types of gatherings. Last – Wow, I am really glad to see the crowd was that big! Way up from last year. That is good news! There are a lot of factors going on here, Wes. Some good. Some bad. 1. Our fellowship is growing older and retaining youth is a problem many are talking (and doing) something about. 2. Young people, generally, have to work during the week. These crowds are older because retirees have time (and money). When I’m not speaking, taking my family to some of these events gets really costly. And being away from home – and I have greater flexibility than most – is undesirable. A young family is more likely going to spend that money on Disneyland than on a program that will be recorded and blogged about. 3. Events like Catalyst cater to a younger set, so younger people go to those. They feature artists, musicians, and other deliverables that *may* be more interesting to some. Gee whiz Gungor was at Catalyst, with Israel Houghton and tons of other top quality performers. All these and a few others thoughts. But I think the tide may be turning…or I’m just getting older. I know speaking for many kids in our geographical area is the timing of the event, plus the distance and cost. Our university’s semester ends on April 30th, so a good majority of our kids are cramming right now. 1, Besides the fact most young people do not go because they are not truly in the church, they are not encouraged to go,(it targets ministers, elders, leaders and older people), and they are smothered by other retreats targeting their age group that are pretty tame in comparison. Also the odd starts (Wednesday, Thursday) are difficult for people with classes, work. 2. Classes/lessons about reaching young adults taught by people with proven experience in college/young adult ministry. 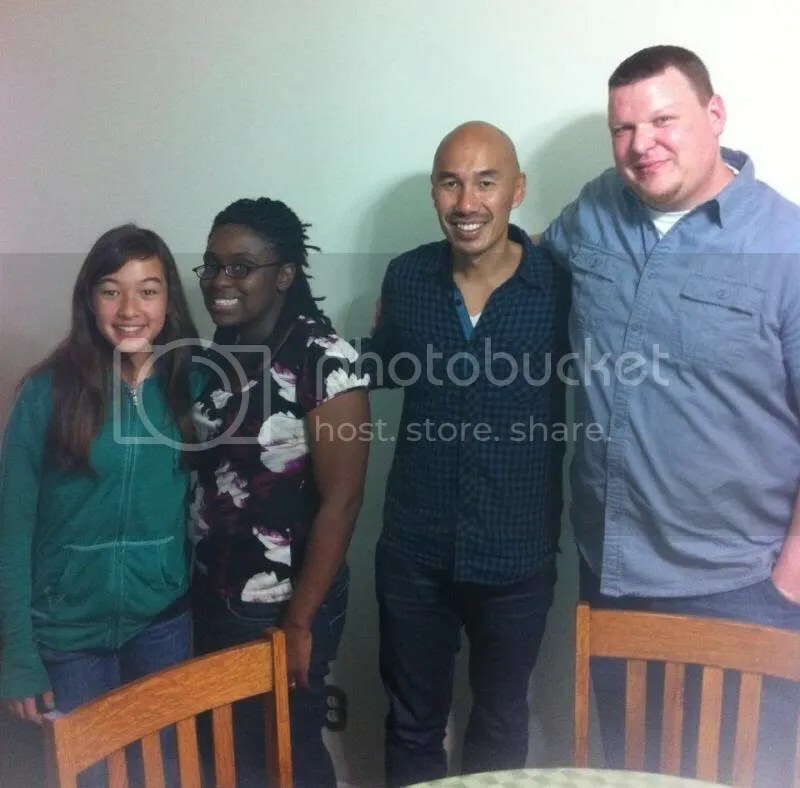 Francis Chan speaking again would help! 3. I think the greatest barrier is that our churches do not have a lot of young adults because they are not worried or focused on young adults. instead they coddle kids in youth ministries and end up with kids that leave or young adults that are spiritual infants. So theres an age gap in a large amount of churches from 18-40. Basically, church’s need to be bolder, more faithful and think outside their box of control to reach the young adults that weren’t at Tulsa. Some are and there will be an increase in the next few years. First, do young people even know who is doing it and who isn’t? I don’t even know that when it comes to all the keynotes. Do you? Is Storment doing it? Patrick Mead? Josh Graves? Don McLaughlin? You really know that these guys are just talk and aren’t doing it? You also know that our young people are so tuned in with those guys that they are actually not coming because they know these guys are just talk? How would they know that, let alone it actually be a reason people don’t come? Second, you are a very evangelistic person. I think that is great. I remember hearing you talk back at Florida Bible camp in 2002 or so and you did a fantastic job and clearly have a passion for God. Sometimes when we are really good at something and it is such a huge priority in our lives other people start looking like they don’t get it or that other people are lazy. When you are pulling lots of unchurched people, I am assuming that’s right, then the church you assume is growing via transfer growth (may or may not be true on a case by case basis) you assume they aren’t affecting lives like you guys are. Is that fair? It is a broad generalization and I think we have to be careful saying things like that in vague and general ways. It kind of seems like a strawman to me that you might be tempted to place yourself over due to your passion and success in areas that it might appear others aren’t as serious about. Not attacking…just observing, loving, and assuming some things here. Could well be wrong. I believe that young people are pretty intuitive. They sit in classes everyday and can often tell if someone is speaking from theory or from experience. Also, many young people who want to make a difference will check out the sources from which their teaching will come. And even if they may not be in tune enough for this to keep them from coming…it can keep people from coming back. Tulsa used to have a larger percentage of young people. Also consider that the teachers may not be equipping people to go back and effectively reach a younger generation, which perpetuates the problem. When you ask do I know…I do research on the speakers and actually do know quite about their ministries. I also know people across the country who attend some of these churches. Also, I did not say that none of them are doing it. I said “many.” Please be careful putting names to what I am saying bc it could be taken that I was saying those specific men are not “doing it” and that is not what I said. I do not believe we, or I, have all of the answers or am above the rest. I apologize if that is how it came off, I should have been more clear. I can tell you that in the past there have been times when I have taken other opportunities rather than taking our students because I thought they had a better opportunity to learn from someone who can not only tell them, but “show” them. When you say, ” Sometimes when we are really good at something and it is such a huge priority in our lives other people start looking like they don’t get it or that other people are lazy.” I think you are kind of missing the point. It is not a priority that I have, it is a mission I have been given. A mandate in scripture. We have been called to seek and save the lost not to babysit and protect. We have been told to go not to huddle. I am not saying that every keynote speaker and their churches are doing this, but if our churches were effectively reaching the lost they wouldn’t be dying out. I appreciate your response, it will help me to be more careful in what I say. I honestly was in kind of a hurry but wanted to respond. I actually had a lot I would have liked to clarify and say but just ran out of time. Thanks Matt. Take care bro! I hope you don’t think I was calling your character or ministry into question in my comment. If it came across that way I am sorry because I wouldn’t ever do that intentionally. I appreciate where you are coming from and what you do. It is important that we hear from people who are doing it. I just didn’t see how that comment fits the current (last several years) lineup of the majority of keynote speakers at Tulsa. I also don’t think many young people know about Tulsa, much less know who the keynotes are and even much much less then know which of those ministers are really in the trenches. If they do…they are the exception. I do agree that young people are savvy and can figure out a lot. They don’t just want talk. They want to learn from people who are doing it. Appreciate you brother. Keep up the good work! Hope your father is doing well. I remember you talking about his ministry when we spoke. We are all good! I did not take it poorly, just wanted to clarify. I hope you are doing great as well. My father and I are working on a church plant together in Mo with plans to plant again in the summer of 2014, 2017, and 2020! Exciting times! Love ya bro. Good post. I agree that this was a great workshop. Some of us are already getting ready for next year and are very excited about it. I think many more will return for what we have experienced this year. All of the speakers I heard were top drawer. I think both Kerry and Kyle “Hit the nail on the head”. I do think most of the younger generation can read a speaker and tell if they “get it” or not. There does need to be a better job of vetting done at the workshop on a lot of the speakers. We (CMU) are seeing good results and seem to be reaching the missing generation. A whole new wave is building and many are being reached and God is being glorified. The wave will really build stronger when our youth ministers start to “Get it” and stop spoiling our kids. The singing at the Keynotes was good for their style. But I really think even the older generation that was there is ready for the “Praise Style” music and would bring back the energy that is missing. Overall, the Spirit was moving at Tulsa this year and that will go a long way in building it back up. Yes Chan had a lot to do with it but I think it was bigger than that. But then again…maybe God was blessing the workshop for being brave enough to bring Chan. Whatever the cause, 2013 was the Best Tulsa Workshop I ever attended. One more thing I would like to add, just to clarify my feelings about the Workshop. I am indebted to the Tulsa Workshop. To Marvin Phillips and Terry Rush. Growing up going to the Workshop I did garner so many blessings. My dad may not even be in ministry if it wasn’t for a lesson Marvin gave in the late 70’s. Marvin called for young men to be ministers. He had a church at Garnett that was reaching messed up people. My dad felt messed up and believed if Marvin was working in lives the way that he was maybe so could he. Marvin asked for men who would commit to going into ministry and save the lost and hurting and my dad stood. Thank you. I also would like to say that I thought this was the best Tulsa Workshop I had seen put together in years. I felt like even older speakers I have heard other times seemed to be more raw and honest, much appreciated. I hope the tradition continues. I also second the “bring Francis back” crowd. Thanks for the clarifications…they were super helpful. Love you too! When it comes to the Workshop, I have a feeling it is more a matter of focus, logistics, and practicalities than anything to do with some big trend in the church, as much as that may be the case. It is simply much easier for an older crowd to make it to the Workshop, and it is not geared toward the younger set. This is generally the case for most all of the lectureship-type events. Things like Gulf Coast Getaway have a massive draw. So I wouldn’t draw any big conclusions from this event. Good post Wes and good questions and observations. Like some of you I have been attending ISWW (My favorite moniker) for 27 or 28 years, missing only once or twice. I think that most of the past 10-15 years there has been a discussion of falling attendance, how to get people to come back. For a long time now I have been encouraging people to attend because I think it is an awesome event. As I look at our church I recognize that the younger people have lives that are over-full … taking three days off of work to attend an event they have never experienced before is just not on the table. There was a swell Thursday night as many people from Tulsa came in to hear Chan- they were not a part of the “workshop crowd” – so that is a false measurement of the attendance of the workshop. I think the same thing would happen if you brought in other big name entertainment/worship … nice crowd, but is that what the Workshop is for? As has been mentioned teenagers (college students?) are flooded with big events just for them. We should be aware that the TulsaWorkshop is getting older because America is getting older? The aging population is not dwindling, but growing … and these are the folks who have the time, money, opportunity to come … and also great influence. Much of the content delivered at the workshop is available on the laptop from a hundred different sources. That lacks the experience, but it is a different experience that is more embraced by the younger crowd. I think to reach them you will have to stream the workshop … that might encourage some of them to want to be at the event. It’s time to charge for the event. “Free” often translates into “not good enough to charge for it”. (Please, no more begging with chicken buckets!!!). I thought the worship was fine but I do understand different preferences. And just one more thing … there are still many churches of Christ (even in the Tulsa area) that do not mention the workshop – or decry it as a ‘liberal’ event. We might think we have progressed beyond that, but not so. I had never heard about it when I was young and unattached, although I went to Oklahoma Christian and faithfully attended a local congregation. 12 years later my husband our 3 children and I still attend that big church and I don’t think I’ve ever heard anyone mention it there. OC lectureships, Affirming the Failth Seminar, other local events, yeah, but not the Tulsa Workshop, which is only 2 hours away. I first heard of it from my brother-in-law in Ohio. He, and then he and his wife would come down every year for it, but now they have a kid and it was one of the things that had to be cut out. Perhaps we make life too hard on ourselves and overschedule our lives, or get swept up in a culture that expects that, but it is really hard to get away for 3 days in the middle of the week (and if we do, to not feel guilty about it–my kids have grandparents in OH and VA they haven’t seen in months and we’re going to Tulsa?? ), we just increased our giving this year to make our actions better fit our beliefs and now we’re on a tighter budget than we had been and a free workshop isn’t really free if it isn’t local–food/gas/lodging, and then what do we do with our kids? No school for 3 days? Leave them here with friends? Just the one in school and take the baby and the toddler? And then pay someone up there to watch them so we could pay attention? Or one of us sacrifice our attention to take care of our kids? I would have loved to have heard Francis Chan talk but I can’t tell you how long it will be before the Tulsa Worshop is a valid option for us. I think the biggest issue is probalby that it just isn’t that well known…I don’t know how they can spread the word about it better though, churches of Christ can be pretty insular. I think one of the reason there are not any more young people than there are is because the workshop is during the week. It would take the young out of school to go to the workshop. If you are talking about young people that are working they usually have not worked long enough to build up vacation time to get off during the week. Another this is the cost and distance.